Almost Sunrise follows two Iraq veterans, Tom Voss and Anthony Anderson, both tormented by depression for years after they returned home and pushed to the edge of suicide. 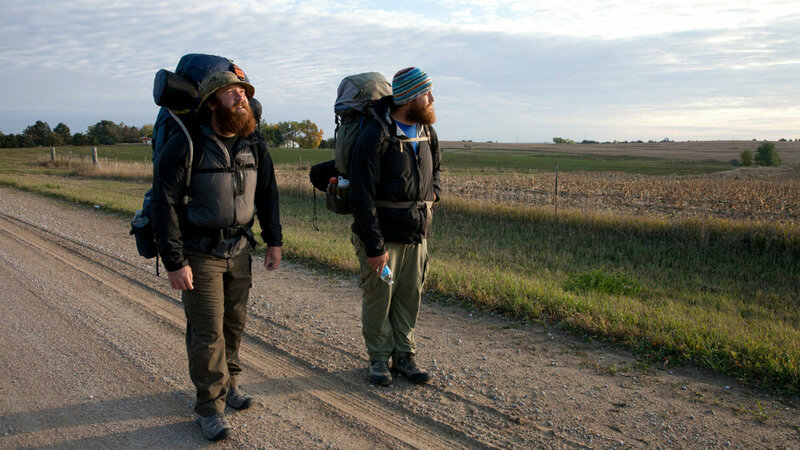 The two embark on an extraordinary journey -- a 2,700 mile walk across the country from Wisconsin to California, in order to reflect on their haunting experiences of war and to ultimately, save themselves. Will this epic pilgrimage allow them to begin the new life they so desperately seek? Michael is an Emmy® nominated filmmaker and the founder of Thoughtful Robot. In 2011 his film Give Up Tomorrow premiered at the Tribeca Film Festival and won the Audience Award and a Special Jury Prize for Best New Director. The film went on to screen in over 75 festivals in 40+ countries, winning 18 major awards including seven Audience Awards, four Human Rights Awards and the Activism Award at Michael Moore’s Traverse City Film Festival. Recently Give Up Tomorrow was selected for the Puma Impact Award and was nominated for an Emmy® Award for Outstanding Investigative Journalism. Originally from the Philippines, Marty moved to New York City in 2000 and worked in film distribution at Focus Features. In 2004 he took a leap of faith to pursue his passion: documentary filmmaking. He developed it into the feature-length documentary, Give Up Tomorrow. The film was an ITVS co-production and commissioned by BBC Storyville, with support from the Sundance Documentary Film Program, CAAM, Tribeca Film Institute, The Fledgling Fund, Bertha Foundation and BRITDOC, among others. In addition to being nominated for an Emmy® Award for Outstanding Investigative Journalism, Give Up Tomorrow received recognition from the Grierson British Awards, Cinema Eye Honors, Amnesty International’s Media Awards, and the Puma Impact Award.